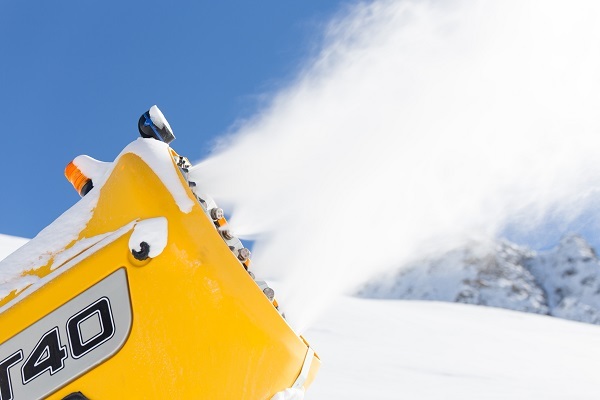 Following the driest December in the Haute-Savoie region of France for 135 years, last week it was reported that over 50 ski resorts may be forced to turn off their snow cannons following new fears of a severe drought. 90% of the French mountains are said to be affected by a distinct lack of snow since the summer months, which has forced hundreds of resorts to close their doors or rely solely on artificial snow cannons to keep their slopes open. If this ban went ahead, it would stop resorts from tapping into the mains water to create the artificial snow, and so resorts would be forced to use severely depleted mountain reservoirs – a temporary solution which won’t last until the end of the season. A lack of snow increases the danger of skiing and snowboarding for multiple reasons, namely 1) because if you fall you will hit the ground/heavily compacted snow rather than soft fluffy (fall breaking) snow, and 2) obstacles such as rocks will be less covered – both increasing your risk of serious injury. Most of the worst-affected resorts include the popular Les Gets, Morzine and Châtel resorts – all part of the world’s largest continuous ski area. If you’re concerned about a lack of snow, contact your resort or tour operator to discuss your options. If you’re already abroad, check if your policy offers cover for no snow, as you could claim this when you get home. For more winter sports tip and advice plus specialist travel insurance visit Holidaysafe.co.uk.